Pianist SAMSON TSOY, described as “the most promising” by BBC Music Magazine, was named Laureate of the prestigious 2012 Santander International Piano Competition. At the invitation of Elisabeth Leonskaja, Samson performed alongside Jörg Widmann and the Doric String quartet, at London’s Wigmore Hall. The concert received a 5-stars review and appeared on Arts Desk’s list of Best classical concerts of 2015. Samson is a finalist of the “Vendome Prize” at the Verbier Festival and a 1st Prize Winner of the 9th Campillos International Piano Competition. A recipient of the Milstein Medal Piano Award, Samson also enjoys being part of the City Music Foundation Artists Scheme and a scholarship holder of the Imogen Cooper Music Trust. 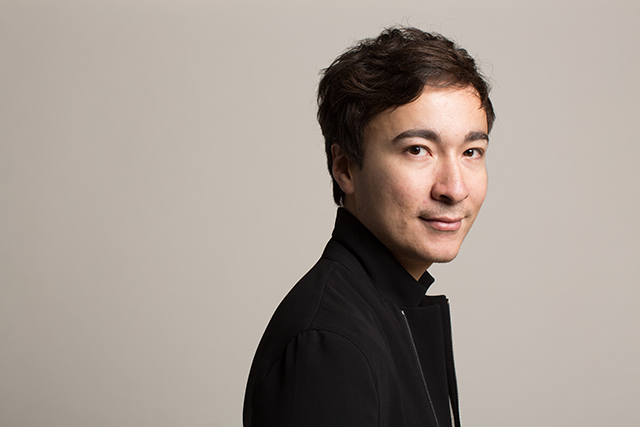 Tsoy’s significant recital and festival appearances include: Wigmore Hall, Royal Festival Hall, Berlin’s Konzerthaus, Salle Gaveau in Paris, Sala Verdi, Verbier Festival, Honens Festival and Rostropovich Jubilee Festival. Recent and upcoming orchestral appearances include Real Filharmonía de Galicia, Calgary Philharmonic Orchestra, Russian National Orchestra, Orchestre Royal de Chambre de Wallonie. He worked with conductors such as Michael Hofstetter, Vladimir Ponkin, Diego Masson, Juanjo Mena, and Roberto Minczuk, among others. A wide collaborative experience as a chamber musician include performances with Cuarteto Casals, Zakhar Bron, Hsin-Yun Huang, James Campbell, Eugeny Petrov, Felix Dervaux, Helen Donath. His acclaimed performances have been broadcasted live on BBC Radio 3, Medici TV, CBC, Radio Télévision Belge de la Communauté Française.